It’s the holiday season and everyone is looking for a deal, I get it. But, you still need to be on the lookout for a good old fashioned scam. 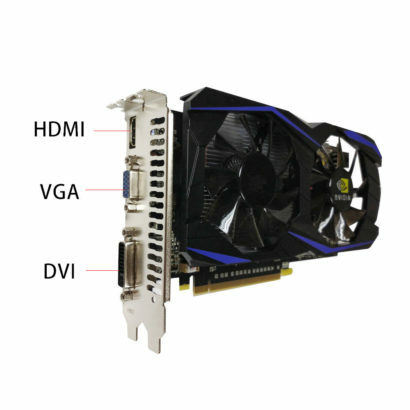 Someone asked me about a GTX 960 the other day they found on eBay and after a quick look I knew something was fishy. After all a GeForce GTX 960 4GB for $39 is a heck of a deal. Sure, it’s an older arch, but depending on what games they’re playing it might be more than enough. Except I’ve never seen this particular design on a GTX 960. In fact, it reminded me of an older ‘scam’ I’ve seen in the past with a GTX 750 Ti, so a little digging was in order. I almost ordered one myself as I found tons of them on eBay ranging from $39-$50 and all were ‘sponsored’, meaning they would be more noticeable than legitimate GTX 960s being sold on eBay. 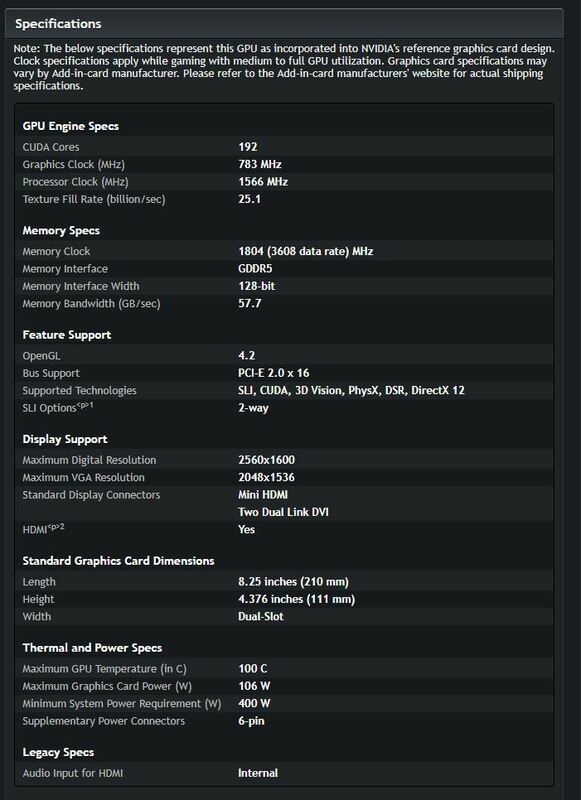 Thankfully the bozos trying to scam people put up a poorly Photoshopped GPU-Z screen where they simply changed the card name. They were sorta slick with this one, after all they had the name right and even the Vendor ID, but those few things caught my eye real quick. Memory bandwidth of 57.7GB/s is a far cry from the 112.2GB/s that the GTX 960 pumps out, at least they got the 128 bit bus right. 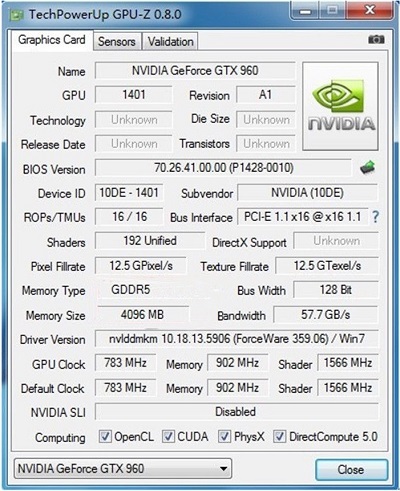 The biggest offender comes in the form of them leaving the Shader Clock displayed as NVIDIA hasn’t used this since they moved from Fermi. 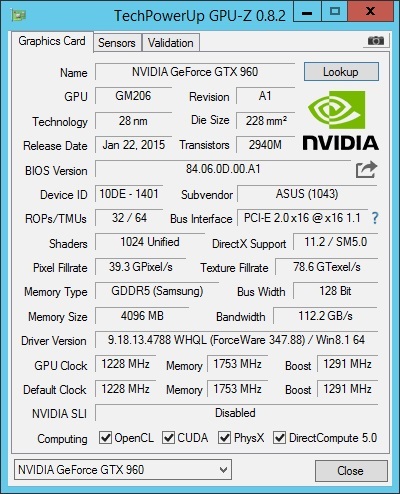 Furthermore, the GTX 960 has 1024 CUDA Cores which is much more than the 192 displayed in the GPU-Z screenshot. At the end of the day, what you’re really getting for your hard earned money is really just a GTS 450. A card that is hardly comparable to a GTX 960 in any way other than being made by NVIDIA. First gen Fermi even. Just compare the specs that weren’t edited to the spec page from NVIDIA themselves and you’ll see that they’re the same. But Keith, the scam card says it has 4GB and we know the GTS 450 was a 1GB card. Okay, I’ll give you that since the most likely memory capacity you’ll find on a GTS 450 was 1GB of GDDR5. I did a little looking, using Google, and found a model that was available in China with 4GB of DDR3 so it’s likely that this where all these cards are coming from. Long story short: don’t get caught by this scam and warn your friends or family to be cautious of listings that are too good to be true. If you’re not in tune with the industry very well I could easily see how you could fall prey to a listing like this. After all, one of the listings sold over 60 units in one day.